Just like a FitBit tracks steps, we are developing a wearable sensor that can track the day-to-day activities of infants --like their sleep and mood, or interactions with their caregivers. We will use our wearable to study how infants' daily activities contribute to their development and their caregivers' well-being. We are recruiting pregnant women and moms with infants 1-9 months of age to participate in our new studies! 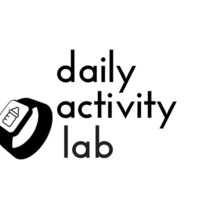 Typical home interactions (playing, feeding) while wearing "wearables"
For more information please call or text us at (470) 344-6490, or email us at dailyactivitieslab@gmail.com.